In the book, “Catching Fire”, by Suzanne Collins, a brave girl named Katniss Everdeen is portrayed as a symbol of hope and rebellion. The story shows the conflict of person versus society throughout the story. Katniss and the other contender from her district, Peeta, mayed the president of the Hunger Games, President Snow, let both of them win by threatening to suicide in the first Hunger Games so that there will not be a winner. The Capitol took this very negatively and has looked at Katniss as a threat ever since, and President Snow visits Katniss to warn her. Many riots break out, and Katniss’s signature pin of a mockingjay is used as a symbol of rebellion. Katniss and Peeta must continue to fake their love and they marry just to make sure that everyone thinks that their love is real. Katniss is chosen along with Peeta to participate in another Hunger Games. When in the arena Katniss and Peeta form an alliance with three other contestants. The alliance escapes many dangers such as poison gas and killer squirrels. One of the allis finds a way to explode the force field surrounding the arena, but needs Katniss to shoot an arrow wrapped with coil at the force field. The plan works and the arena explodes. Katniss becomes unconscious and when she wakes up she is in a plane with, Plutarch, Haymitch, and Gale. The book ends with a cliffhanger leaving the reader wanting to read the next book. In my opinion the book, “Catching Fire”, is great and a good sequel to the first book, “The Hunger Games”. This book is action packed and has a fantastic plot line. Throughout the novel the author uses great vocabulary and word choices. The author uses words such as subdued, deter, and ambiguous. Many of her words we were tested on. I would recommend this book to anyone older than twelve, do to mild language and “adult” topics. If I could go back in time, and I have already read the first book, than I would definitely read, “Catching Fire”, again. This book had many strengths. Although, sometimes I found it confusing as to where the characters actually were. The author was very creative and descriptive. I especially liked how the author infused many clever and imaginative threats in the arena. 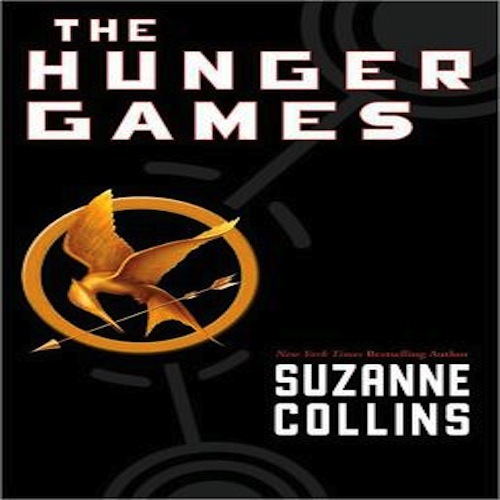 If I had to rate this book I would give it an 8.5 out of 10, mainly because it was not as good as the first “Hunger Games” book. 1a. Katniss is hunting for Gale because his dad died so Gale and his family are very poor and refuse to accept money from Katniss. 2a. The guards killed the man because he was the first person to hum Rue’s song during Katniss’s speech and they felt that he was trying to start an uproar. 3a. If Katniss and Peeta do not put on a show for the people of all the destricts and do not make them believe that Katniss and Peeta are truly in love than President Snow will kill Katniss’s and Peeta’s families. 4a. They are rebelling because they know that Katniss’s love for Peeta is fake and because Katniss killed both of district 8’s contestants from last year. 5a. She knows that if she continues to see him then President Snow will kill Gale’s and Katniss’s families. 6a. They are runaways from District 8, Twill and Bonnie. 7a. She wants answeres about district 13 from them. 8a. No one knows that Katniss is at the gate and she can not get back to her family. 9a. They wanted to make sure she was electricuted by the fence, but when they see her alive they tell her the fence has power now. 10. Why does Twill and Bonnie think that there might be another district called district 13? 10a. They see a mokingjay fly in the background each time the capitol shows the, “updated video”. 11a. He feels that the odds will never be in favor of Katniss and is a freind of hers. 12a. She dreams that the lady from district 4 trunes into a rat and eats her. 13a. They feel like it would be an invasion of privacy and they know that Haymitch does not want them to see it. 14a. He sees it as an opurtunity to get rid of Katniss. 15a. He knows that Peeta and Katniss alone can not win.